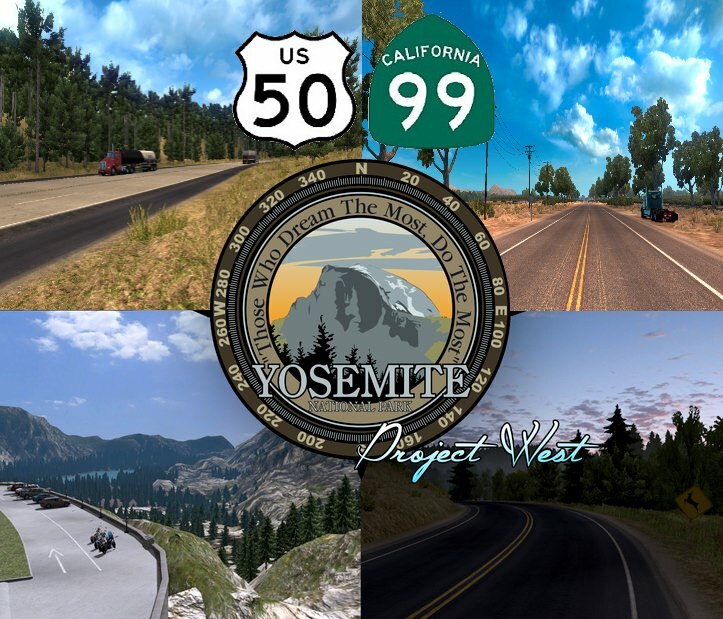 I also add the Yosemite Park roads (CA 108 & CA 120) and Lee Vining city as a scenery city form Project West in this mod with authorization of stoked_dude so you don’t need Project West anymore! You must use only one version! Choose V2.2.1 (C2C) if you play with the C2C map mod or choose V2.2.1 if you are not using C2C! No file when trying to download it. Nervemind…apparently sharemods wasn’t allowing me to download any files.